Headquartered in Stellenbosch, DORPSTRAAT predominantly invests in the 4 major metropoles of Johannesburg, Pretoria, Durban and Cape Town. We select each project based on a combination of factors, including architectural design, potential for sustainable growth and the ability to create an environment that promotes vibrant community interaction. Once we’ve invested in and developed a site, we then realise our vision via a hands-on management of the property to ensure that it achieves sustainable growth in fundamental returns. 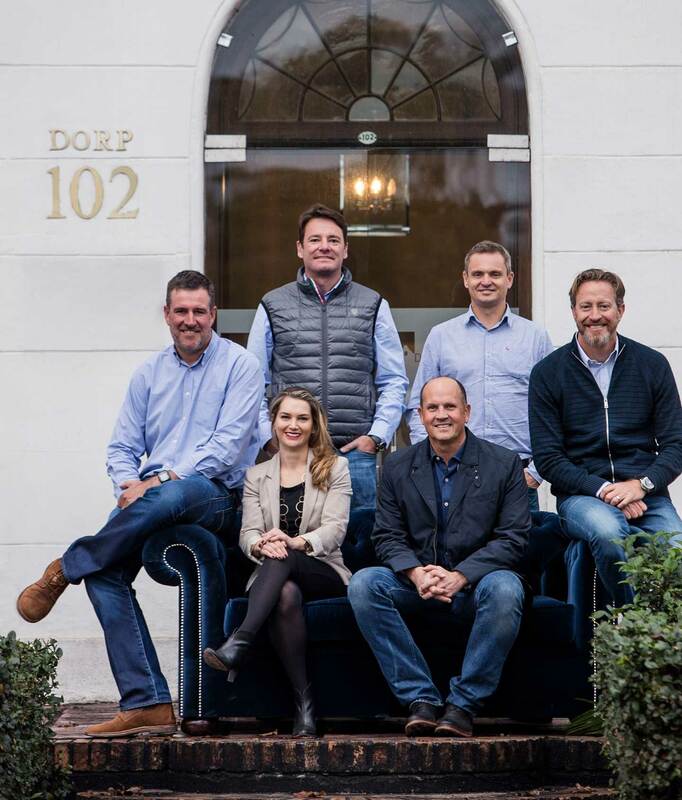 The DORPSTRAAT team is a collaboration of experts who excel in different facets of property investment and management, including: planning, architecture, retail development, leasing, finance and property management. United by our goal to make extraordinary things happen, we bring strategic rigour, intellectual experience and a deeper understanding of community and neighbourhood retail requirements to each and every development we pursue. Together, we are committed to growing a company that we are proud of. DORPSTRAAT was conceived when 5 visionaries, each with a unique set of skills and characteristics, joined forces to ignite the distinctive values of neighbourhood communities. We are united by the belief that great convenience centres create intimate and engaging experiences that become the eternal heartbeat of the community. They become an uplifting place where the values of entrepreneurship, creativity and openness are embraced and celebrated once more. The DORPSTRAAT portfolio of properties is assembled and managed based on long term investment principles. Each of our investments is deliberately positioned in high growth nodes and high-income areas. Our shopping centres are anchored by leading South African retailers with a strong focus on centres that cater for the one-stop daily consumer needs, such as: groceries, fast casual food, casual dining, health and beauty, among others. 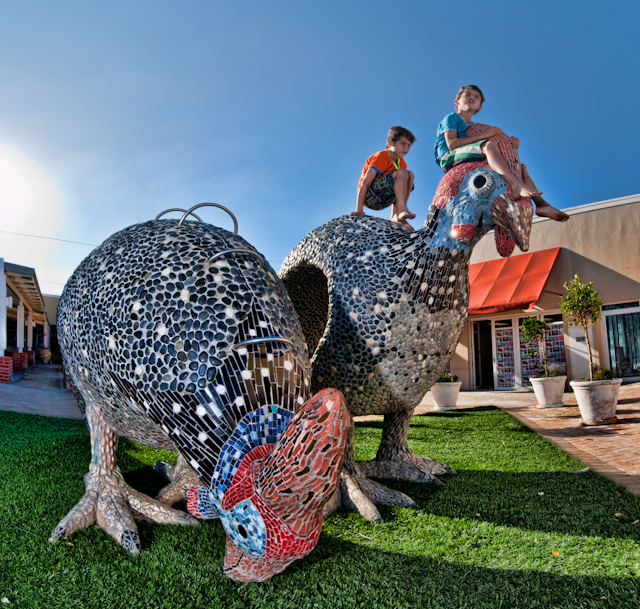 We also look at our investments through a social lens and ensure that each shopping centre is complementary – and adds value to – the community that surrounds it. In short, we are motivated to set the highest industry standards in community and sustainable retail focused developments. We are driven by the belief that a design-focused culture has the power to encourage and inspire. As such, we turn to architectural design and cultural creativity to enhance the aesthetic experience of each one of our nationwide centres. By creating destination points we are able to enhance shopper and tenant experiences – delivering meaningful impact to each day and every shop. We combine function, aesthetics and commercial consideration to achieve the envisaged end product. The project management team is closely involved in each new development, right from the construction stage through to the successful liaising and opening of our tenant stores. This focus ensures that we have a deeper understanding of all elements of the projects, providing the expertise and right shopper mix to deliver better performing value for our tenants. We are hands-on and involved in the project from start to finish. Our expert leasing team aims to create agreements that are tailored to meet each tenant’s specific requirements. The team is very hand-on and works closely with the tenants to help them achieve their goals. Their success, is our success. Our hands-on approach provides us with insights that create value and improved return on investments. We employ creative strategies and design-led solutions to ensure that our properties realise their full return potentials. Throughout the process of asset management, we contain operating costs by forging close relationships with our suppliers of service. Finally, we are driven to improve efficiencies with a strong focus on green initiatives and savings in utilities. We excel at driving year-on-year growth in net income.